Ross County left it late to seal their third IRN-BRU Cup triumph with a 3-1 win over Connah’s Quay Nomads. Michael Bakare had the Welsh side in front for 50 minutes before substitute Josh Mullin struck twice in two minutes to turn the game on its head. 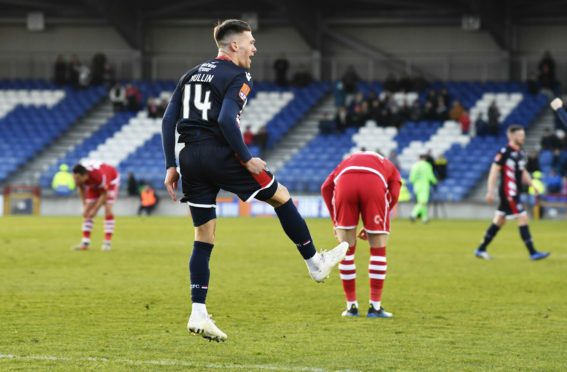 With a flagging Nomads side out on their feet, Jamie Lindsay completed the comeback with a goal four minutes from time to bring the trophy back to Dingwall. County made four changes from the midweek defeat to Dundee United, with Scott Fox, Mullin, Ross Draper and Lewis Spence dropping out. Ross Munro, Don Cowie, Brian Graham and Declan McManus coming in. A tense, uneventful opening was punctuated only by aerial bombardments from the visitors launching long throws into the County box. It took until the 22nd minute for the first meaningful action and Connah’s Quay stunned County with the opening goal. 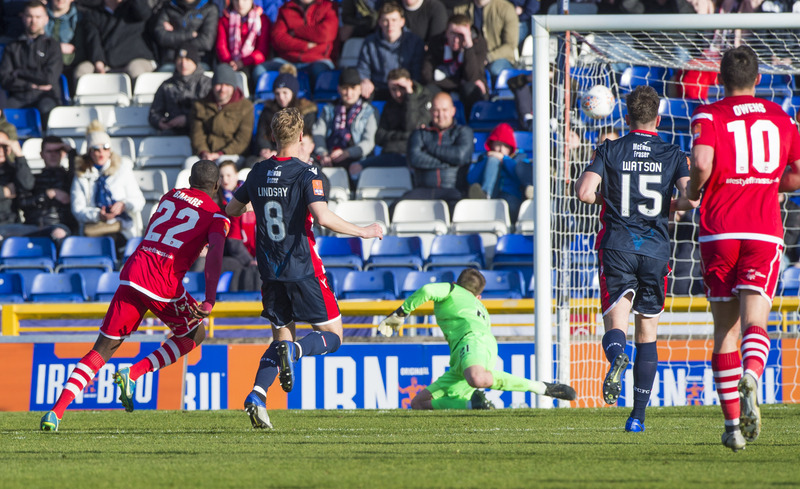 Keith Watson missed the chance to clear, attempting a diving header to prevent the ball reaching Bakare but missing the ball, allowing the 32-year-old to burst clear and slam beyond Munro into the top corner. Connah’s Quay’s Michael Bakare scores to make it 1-0. 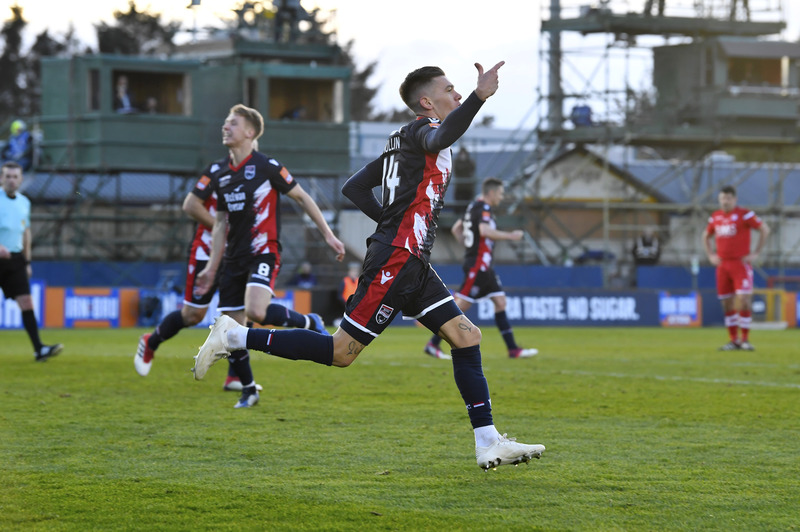 The Welsh Premier League side came with a gameplan and stuck to it, coming close to another goal from a set-piece when Bakare’s corner was flicked on to George Horan, who scooped over from six yards. 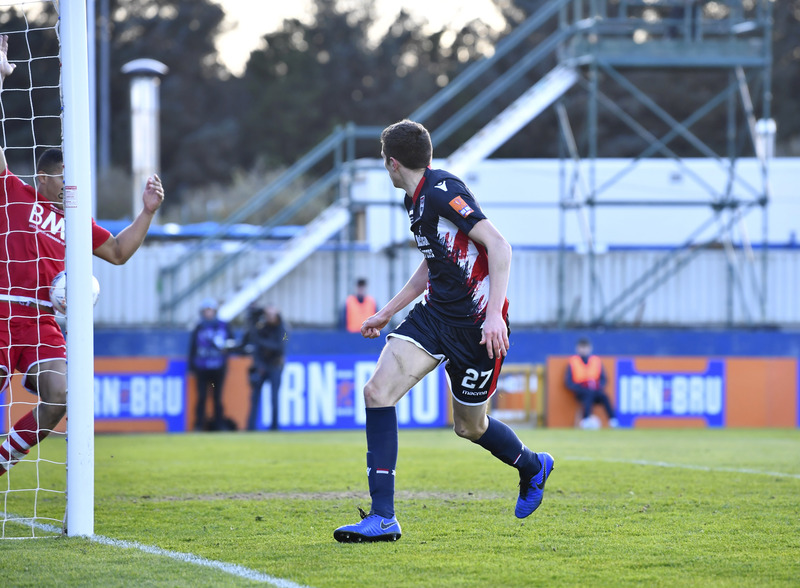 The Staggies struggled to offer anything in the first period and were lucky not to be further behind when Munro, who has played all the IRN-BRU Cup games this season, gifted the ball to Andy Owens in the area. Owens only had the goalkeeper to beat but the teenager redeemed himself with a marvellous one-handed save. Bakare hit the target again in stoppage-time, his corner coming off the face of the crossbar as a shell-shocked County sloped off at the break. They needed to show signs of life in the second period and ought to have been level five minutes in. Michael Gardyne lofted the ball into the area and Ross Stewart got in front of goalkeeper John Danby, taking it away from goal and then trying to turn it into an empty net. His connection was poor and the shot came back off the post, with Priestly Farquharson bundling it off the line. Ross County’s Ross Stewart (R) sees his shot hit off the post and is then cleared off the line. County were turning the screw and Danby had to backtrack quickly to push Declan McManus’ cross over the top of the bar, before Cowie fizzed a cross past the face of goal. A quickly tiring Nomads were becoming increasingly more desperate at the back, getting bodies in the way of stray balls and again relying on Danby, this time keeping out Stewart’s near-post strike. But Mullin, raised from the bench, came good with two goals in five minutes to turn the game on its head. Marcus Fraser slid him in for the first, as he scampered inside Farquharson to slide under Danby into the far corner. The turnaround was complete on 79 minutes when Kenny van der Weg’s cross found Stewart and he teed up Mullin, with his first-time finish going straight through Danby. Mullin scored two of County’s three goals. Lindsay put the icing on the cake with a cool finish from just inside the area, to cap a rapid turnaround and a third cup triumph.